1Peel and chop the potatoes and boil until soft. 2Mash the potatoes with the butter and salt. 3In a bowl combine the flour and baking powder and add the mash. Using your hands combine it all together to form a dough. 4On a well-floured board roll out the dough to the thickness of a pound coin. 5Use a large side plate as a template and cut out circles. 6Score each circle into quarters (but keep as a whole). 7Heat a large frying pan and add a small knob of butter. Once melted, lightly fry on a medium heat each circle, turning halfway through. 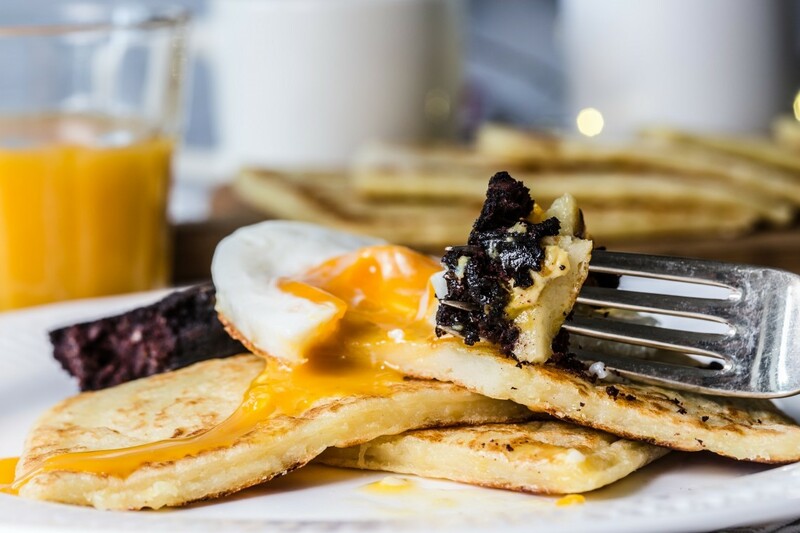 8Once cooked, separate the quarters and serve with topping of choice - we recommend black pudding and egg, or spinach and egg).